The Deluxe Guitar Strap by Gear4music is a high quality leather guitar strap suitable for most electric and acoustic guitars. 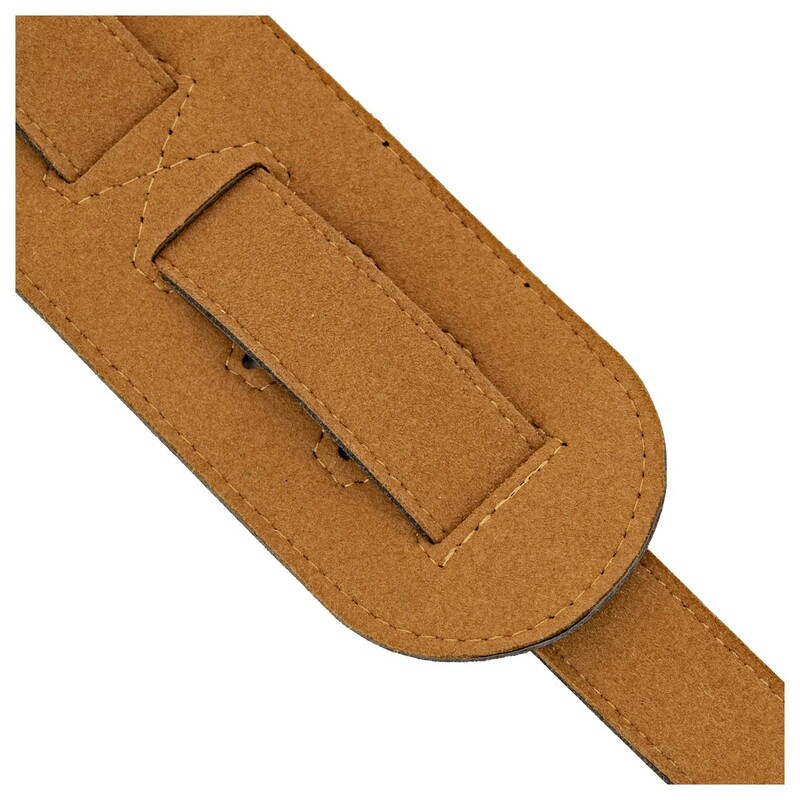 This comfortable strap is adjustable from 110cm to 130cm for a perfect fit and it comes complete with string for attaching it to the headstock of an acoustic guitar. 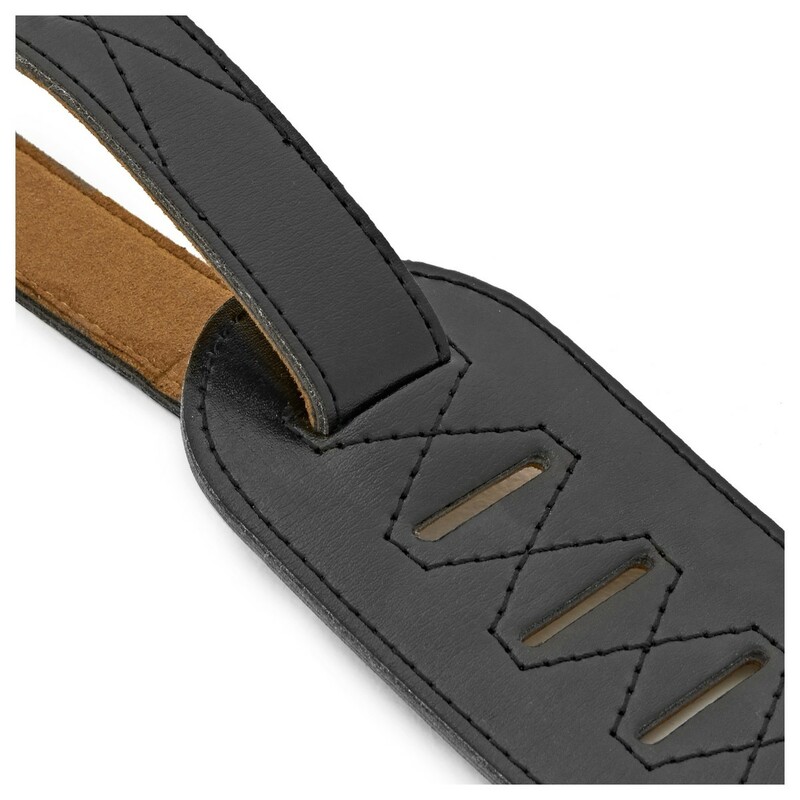 This Deluxe Guitar Strap by Gear4music has a quality look and feel which belies the reasonable price tag. Features a gloss black leather finish, combined with comfortable padding and suede lining. A must-have accessory for any guitar player.